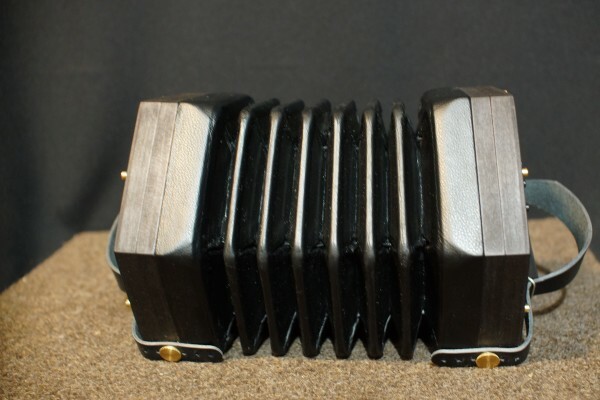 Minstrel Concertina from Concertina Connection. 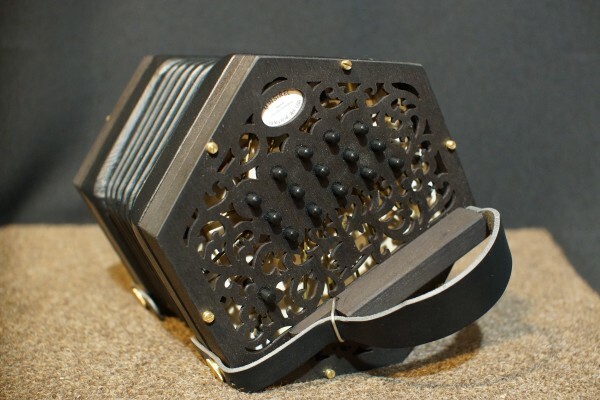 A 30 key Anglo concertina in C/G, accordion reeds, Delrin buttons, leather six-fold bellows. 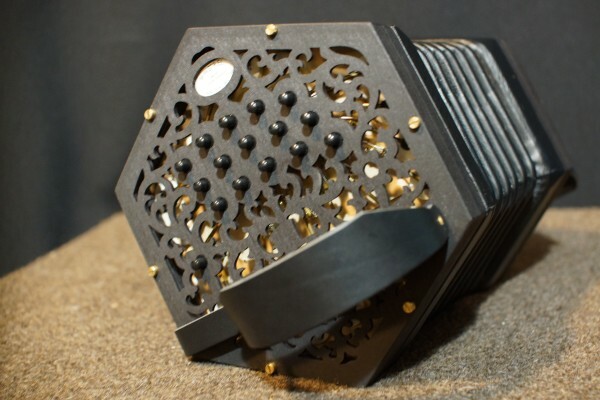 This is a great affordable concertina that shaves off some of the price of more expensive models without sacrificing any tone or playability. This model is part of Concertina Connection's upgrade program that allows 100% trade-in credit on one of their higher end models. We rent this concertina for $60 per month!